creating and fostering partnerships with other professional organizations. The Idaho Career Development Association (ICDA) is dedicated to the advancement and professional development of career development specialists within the State of Idaho. Members are professionals who are interested in advancing career development. The membership includes counselors, educators, technicians, paraprofessionals, and business personnel representing education, business, public agencies and private institutions. 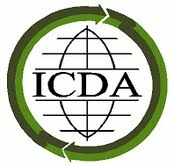 ICDA encourages all professionals in any sector of the community who are interested in enhancing the careers of others to become a member of this growing and dedicated Association. ICDA is committed to promoting the quality of career development across the life span. ICDA is a division of the Idaho Counseling Association and is chartered by the National Career Development Association.